Foundations and Trends® in Entrepreneurship Published, sold and distributed by: now Publishers Inc. PO Box 1024 Hanover, MA 02339 USA Tel. +1 (781) 871 0245 www.nowpublishers.com [email protected] Outside North America: now Publishers Inc. PO Box 179 2600 AD Delft The Netherlands Tel. +31-6-51115274 A Cataloging-in-Publication record is available from the Library of Congress. empirical approaches founded on the econometric analysis of large and representative data samples. 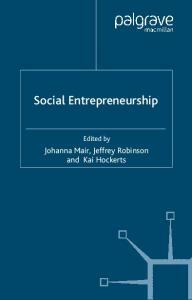 The present text aims to provide details of the salient theoretical and empirical approaches that have been applied to entrepreneurship. These details will be provided in a deliberately non-technical way, in order to make the text as accessible to as wide an audience as possible. References will be given to more detailed technical treatments of the issues which the interested reader can pursue if they wish. It is hoped that this text will dispel some misperceptions about the economics approach; and may perhaps even convince non-economists that the Economics of Entrepreneurship furnishes a solid theoretical backbone to entrepreneurship research. That many non-economists still entertain myths and misconceptions about the role and potential of economics surely cannot be denied. Let me give just three instances. First, contrary to what some non-economists appear to believe, it is simply not true that neoclassical economics ceased to progress once competitive general equilibrium theory was completed in the 1960s and 1970s. Neither does modern economic theory assume the economy continually moves into equilibrium; and nor does it ignore the entrepreneur, as we will see below. Second, just because modern economic theory is rooted in optimization does not mean that those theories break down altogether if entrepreneurs do not consciously optimize. In Friedman’s  famous example, billiards players do not calculate the angles of incidence and reflection when they prepare a stroke, yet they behave as if they are optimizing. And, even in cases when this argument ceases to apply, it remains the case that optimization remains a useful benchmark in entrepreneurship; while alternatives to optimization are often unpalatably ad hoc . Third, one sometimes hears a complaint that economics is of limited use because it cannot explain aspects of human behaviour such as the psychology of an entrepreneur or the origins of trust that underpins social relations. I would agree that economists should defer in such matters to experts in psychology and sociology. But using incomplete applicability as a metric to judge a discipline seems unfair. The same “limitation” obviously applies to all subjects; and surely only an aggressive economic imperialist would assert the contrary . It seems fair to acknowledge that the economics approach focuses on a few aspects of entrepreneurship rather than the totality of this complex phenomenon . Nevertheless, as I hope this text will demonstrate, the approach can still make a valuable contribution. Rather than content itself with nebulous assertions about the inherent unpredictability and complexity of entrepreneurship, economics develops testable hypotheses based on sound micro-foundations. The present text will also emphasize theories that are testable, either directly or at least in principle. For this reason, it will not cover entrepreneurial theories of the firm which, while interesting, seem to elude ready empirical characterization . Nor will I start the text by offering a definition of entrepreneurship. Instead, I will let this text reveal what economists understand this phenomenon to involve. It will turn out to be broader than merely venture creation or opportunity recognition and exploitation, though as we will see it encompasses aspects of these. The text is structured in the following way. Section 2 discusses what economics can bring to the study of entrepreneurship, in terms of the kinds of practical questions it can answer. Section 3 outlines several “canonical” models in the Economics of Entrepreneurship that I believe all researchers who adopt this approach should be aware of. 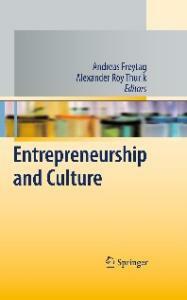 That section contains a summary of the principal theoretical economic models of entrepreneurship, an overview of the essential techniques underpinning empirical work, and a discussion of some recent theoretical and methodological developments. Some of the latter might evolve into “canonical models of tomorrow”. Section 4 then summarizes some wellestablished empirical findings that have been generated by the Economics of Entrepreneurship. This comprises the empirical “What we know” part of the text. Section 5 concludes by discussing “What we don’t know”, by way of motivating future research. What follows below is not intended to be an exhaustive list. Instead it is illustrative, being designed essentially to highlight some of the more interesting and policy-relevant questions that can be addressed by the approach. “Answers” to these ten questions appear in Section 4. • How many jobs do entrepreneurs create? 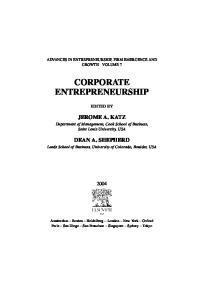 • Are small entrepreneurial firms more innovative than large corporations? • Do tax cuts stimulate entrepreneurship? • Why are blacks and females less likely to be entrepreneurs in Britain and America? • Do banks ration credit to new enterprises, and do capital constraints significantly impede entry into entrepreneurship? • How successful are loan guarantee schemes in providing credit to new enterprises? • Which entrepreneurial ventures are most likely to survive and grow? • Why do entrepreneurs work so hard for so little pay? 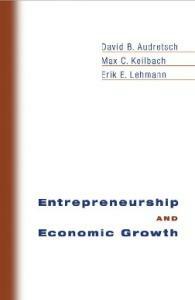 • Does entrepreneurship cause economic growth? 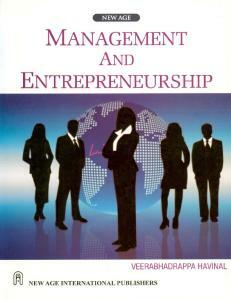 • Should governments encourage or discourage entrepreneurship? The last question might sound like heresy to some readers, who are accustomed to regard entrepreneurship as always unambiguously a “good thing”. Unlike the others on this list, it is also one on which the evidence is far from clear-cut. I include it here because it is exemplifies the kind of questioning and radical thinking that underlies the economist’s approach to entrepreneurship. Section 3.1 lists and briefly discusses some canonical theoretical models in the Economics of Entrepreneurship. Space limitations permit only a brief overview of each; technical details can be found in the relevant chapters of  signposted below. Section 3.2 provides a non-technical overview of the canonical empirical models used by economists working in this field. I call the models in these two sections “canonical” because they form essential and commonly used building blocks for thinking about, and answering, the kinds of questions listed above. In Section 3.3 I describe some new theoretical developments that might furnish some of the canonical models of tomorrow. 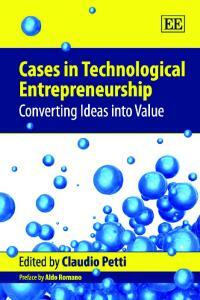 Innovation has been highlighted as a key aspect of entrepreneurship ever since the contribution of Schumpeter . Innovation is an integral aspect of industry evolution. Industrial organization theorists have developed several models for explaining observed evolutionary patterns, both with and without innovation, placing particular emphasis on the trajectories of the births and deaths of new firms. Two theoretical models have been particularly influential. Their success can be gauged in terms of the number of citations they have attracted, which in turn reflects their ability to explain several stylized facts. One, by Jovanovic , has become indispensable for understanding the industry effects of entrepreneurial learning about (initially unknown) entrepreneurial abilities. Entrepreneurs learn from a series of stochastic draws that come in from the market. Based on constantly arriving new information, entrepreneurs adjust their beliefs and their market strategies. Able entrepreneurs survive and grow, while the less able (or unlucky) exit the market. Jovanovic’s model is not only elegant but also rich in theoretical predictions, many of which have been borne out by independent evidence. Among these are predictions that newer and smaller firms will have higher and more variable growth rates, and also higher exit rates than older and larger firms. Technical details about the model and further elucidation of its predictions can be found in [115, Chap. 9]. Second, Klepper  analysed the product life cycle and the evolution of industries in which different types of innovation are performed at different stages of firm maturity. Not only does Klepper’s model bear on new firm entry and exit rates, but it also seeks to explain the temporal pattern of innovations and market concentration as industries evolve. It can also explain why the pace and importance of major product innovations and new firm entries slow down as industries age, and the increasing importance of process innovations at later stages of the industry’s life. Klepper’s article is essential reading for researchers interested in the broad sweep of the evolution of innovative industries. Schumpeter’s insights continue to be developed by modern economists. A formal literature on “patent races” has emerged that pits established firms against each other in the drive to discover new innovations that yield monopoly profits while rendering previous products obsolete (e.g., , , , , ). But as Bianchi and Henrekson  point out, this literature does not capture the existence of Schumpeter’s “extraordinary individual” (the entrepreneur) who is responsible for the innovation, instead it focuses on firms that devote resources to large-scale “routinized” R&D activities. From an entrepreneurship perspective, Bianchi and Henrekson  argue that these models lack micro foundations in entrepreneurial choice and do not really make a distinction between entrepreneurs and inventors. Acs et al  respond to this criticism by introducing the entrepreneur as a conduit for transforming new knowledge into new economically valuable business opportunities. Growth is enhanced through individual entrepreneurs exploiting knowledge by creating new ventures even though they are not contributing to the production of knowledge. As we will see below in Section 4.9, Acs et al’s treatment of knowledge spillovers and innovation carries implications for the relationship between entrepreneurship and economic growth. regression methods to American self-employed income data. Hurst and Lusardi  have used IV estimation to explore the Evans–Jovanovic wealth-entrepreneurship participation relationship (see Sections 3.1.2 above and Section 4.5 below). spillovers. They find that firms locate closer to universities the more graduates they produce, and the greater is the production of social science knowledge. The latter contains a greater proportion of tacit knowledge than natural science, which is more codified and hence can cross national boundaries more easily (in line with Krugman’s argument). Moreover, Audretsch and Lehmann find that proximity is economically valuable too. Using hazard analysis, the greater the geographic proximity of the new venture to a university, the quicker the venture progresses from start-up to a stock market listing. 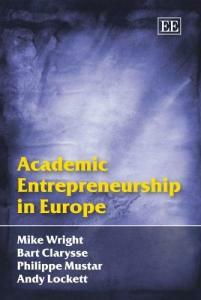 Research into the geography of entrepreneurship in general and new venture creation in particular continues to develop. Part of the attraction of this field of enquiry is that it brings together several interesting topics, including innovation, human capital, spatial structure, entrepreneurship, growth-enhancing spillovers, and of course public policy. Rather than attempt to provide an exhaustive overview of empirical findings emerging from the Economics of Entrepreneurship – which would occupy too much space – I shall instead use this section to document several interesting, topical and policy-relevant results. Fuller details on these and other results can be found in the author’s book . The “answers” given below correspond exactly to the questions posed in Section 2, and follow the order in which they were asked. I will flag the canonical theories and empirical methods of Section 3 as we proceed. jobs, and firms with less than 100 employees accounted for 82% of net job gains. The implication was that the small firm sector was the primary engine of job creation. Subsequent researchers have confirmed these findings for the US and other countries, with Acs and Audretsch  highlighting a distinct and consistent shift away from employment in large firms and towards small enterprises in the 1980s in every major western economy. Davis et al  challenged the claim that small entrepreneurial firms are the engines of job creation, claiming that previous researchers gave misleading interpretations of the data based on fallacious inferences. Davis et al claimed instead that larger US manufacturing plants and firms create (and destroy) most manufacturing jobs. In addition, Davis et al found no clear relationship between rates of net job creation and employer size. However, subsequent research that uses a more inclusive industry definition and which corrects for the statistical problems identified by Davis et al has refuted these objections, and reinforced Birch’s original claim (see, e.g., , ). As the OECD  observed, there is now “general agreement” that the share of jobs accounted for by small firms has increased since the early 1970s in most developed economies. This message has not been lost on policy-makers concerned about economic flexibility and employment, who increasingly shifted their attention from large to small enterprises in the latter half of the last century. 4.3. Do tax cuts stimulate entrepreneurship? than R&D and patents. Regression analyses by those authors (e.g., , ) convincingly showed that smaller and younger firms are relatively more innovative than larger and older firms (see also ). For example, according to Acs and Audretsch , small firms contributed around 2.4 times as many innovations per employee as large firms did. They also noted that innovation in small entrepreneurial firms has different causes than those in large firms, responding more to the availability of skilled labour. These and similar findings are consistent with some of the theoretical predictions of the innovation literature (see 3.1.3 above). Entrepreneurs not only innovate, they also exploit innovations. In fact, new research increasingly suggests that exploitation is more economically valuable than knowledge creation. We return to this issue in the context of growth in Section 4.9 below. at the macro level (see the time series studies referred to in Section 3.2.4 above). Carroll et al ,  also estimated that lower marginal income tax rates are significantly and substantially associated with both small firm growth rates (measured in terms of business receipts) and investment expenditures. Therefore, while it is true that more evidence on this issue is sorely needed, the available evidence does indeed generally support the notion that tax cuts stimulate entrepreneurship. Why are blacks and females less likely to be entrepreneurs? Bronars  estimated what average minority self-employment rates would have been if the coefficients from a self-employment probit regression based on a white sub-sample (i.e., imposing the same returns to characteristics) were applied to non-whites. Borjas and Bronars found that, given their own characteristics, blacks and Hispanics would have had the same self-employment rates as whites, and that Asians would have had a higher self-employment rate than whites. This implies that unobserved (and unexplained) differences in the entrepreneurial “productivity” of personal characteristics, rather than differences in the characteristics themselves, account for the ethnic variation in selfemployment rates. Likewise, Fairlie and Meyer  and Hout and Rosen  were unable to explain black-white self-employment rate differentials in terms of observable factors such as family background variables and industry structure. Unfortunately, it currently remains unclear whether discrimination, cultural factors, or unobserved characteristics are responsible for these different ethnic rates of participation in entrepreneurship. One possibility is discrimination in the credit markets: see . Slightly greater success has attended efforts to explain lower rates of female participation in entrepreneurship. Binary choice models have revealed that several covariates are strongly associated with female participation. They include being married, having infants or school-age children in the household, and having a husband who is self-employed or who has self-employment experience (, , ). These factors are also associated with a greater incidence of home-based working in entrepreneurship among females . Lower earnings in self-employment may also play a role. According to a decomposition analysis by Hundley , greater involvement in housework, shorter work hours devoted to the business, and caring for young children together accounted for between 30% and 50% of the American annual self-employment earnings gender differential. This suggests that women earn less than men do because they spend less time managing and developing their businesses. Therefore entrepreneurship might be less attractive for females than for males, the enhanced benefits of entrepreneurial work-schedule flexibility notwithstanding. How successful are loan guarantee schemes? quintile of the wealth distribution. But this is the group that would presumably be the least affected by any borrowing constraints. In any case, a positive relationship between anticipated or unanticipated wealth and entrepreneurship participation does not necessarily imply borrowing constraints. Many alternative explanations that are not based on borrowing constraints can also explain such a relationship, including decreasing absolute risk aversion ; a preference for self-finance; over-optimism; and over-investment . A complete list and rationale appears in [115, Chap. 7]. In any case, there are now extensive sources of start-up finance in modern developed economies, including credit cards, to which most borrowers have access; and many start-ups require little or no capital anyway . In short, neither recent evidence nor economic logic supports the notion that borrowing constraints seriously impede entry into entrepreneurship in the early 21st century. Small Business Administration (SBA) LGS explicitly targets these groups for support. It seems reasonable to make the following three assumptions about banks. First, because they can spread their risks across a large portfolio of loans, they are more or less risk-neutral when it comes to evaluating an individual loan. Second, banks do not turn down obviously good investment projects. Third, in line with their obligations they do not recommend any obviously bad projects to LGS administrators. On the basis of these three assumptions, one would on average expect guaranteed projects to perform no better, and probably to perform worse, than those that are funded; and therefore to be quite costly to the Exchequer. Broadly speaking, this supposition is borne out by the evidence, according to evaluations of the American  and British  schemes. Failure rates are a little higher for guaranteed projects than for non-guaranteed projects; scheme costs are substantial, amounting to GBP 100 million in 1998 for the SBA LGS; and net job creation is marginal, partly because of substantial displacement effects (see [115, Chap. 10.1], for details). These schemes do however succeed in leveraging some funds from banks that would otherwise not be forthcoming; and they do result in a marginal increase in entrepreneurial activity. It should be borne in mind however that the scale of guaranteed loans is small relative to the size of the sector as a whole, accounting for only about 1% by value in both the US and the UK. 4.8. Why do entrepreneurs work so hard for so little pay? as do enterprises operated by entrepreneurs who are well educated, experienced and located in low unemployment environments. Several of these findings are consistent with the canonical theoretical model of Jovanovic  mentioned in Section 3.1.3 above. Other possible influences on venture survival and growth have also been explored, including specific marketing strategies , sources of finance , social capital , and organizational structure . But so far, findings for these variables have not proven to be as consistent or robust as for the ones listed above. working for its own sake. So it seems puzzling why so many people are willing to turn entrepreneur and work long hours for relatively low financial returns. It is certainly possible that a non-pecuniary benefit (e.g., the love of “being one’s own boss”) makes entrepreneurship more attractive than paid employment. But while this might help to explain why entrepreneurs hold excessively risky portfolios relative to the market (; ), it cannot explain the long work hours phenomenon. Recently, IV estimation by Parker et al  has proposed a possible resolution of this puzzle. Entrepreneurs bear greater income risk, and so “self-insure” by working longer hours to make the deterministic part of their incomes larger despite receiving lower average wages. 4.10. Should governments encourage or discourage entrepreneurship? cross-sectional findings from Thurik  that business ownership rates are associated with employment growth at the country level in the OECD; and they are also consistent with simple positive correlations between “total entrepreneurship activity” and national growth rates . In the case of , the key empirical determinant of aggregate growth appears to be an interaction between entrepreneurship and R&D. Acs et al interpret this in terms of entrepreneurship diminishing the “knowledge filter” between the creation and exploitation of knowledge. That is, entrepreneurs found new firms in order to exploit opportunities created by knowledge spillovers. This story is attractive because it is consistent with the now-dominant macroeconomic growth paradigm of endogenous growth theory , , in which knowledge spillovers drive economies on to ever-increasing growth. As Acs et al explain, both knowledge creation and exploitation are crucial ingredients of growth. Innovation, entrepreneurship and growth come together with the opportunity creation and recognition literature at this juncture. As other researchers have shown, one cannot assume that the unchecked market economy will always find the right balance between knowledge creation by scientists and knowledge exploitation by entrepreneurs . There might therefore be a role for government intervention to promote entrepreneurship as a growth-enhancing strategy. Here a crucial question is whether new small firms are best placed to exploit knowledge spillovers (“entrepreneurship”) or whether incumbents can do as well or better (“intrapreneurship”). The evidence about the role of small and new firms cited above suggests that entrepreneurship may indeed be an important vehicle for generating innovations and stimulating growth. , , , ). Many entrepreneurs end up ruining themselves and their families by what Adam Smith referred to as the “overweening conceit which the greater part of men have of their abilities” – particularly that they are uniquely well placed to spot and exploit opportunities that others have ignored. Families often bear the brunt of business failure and bankruptcies, rates of which are known to be very high generally . And relationships often fracture under the strain of extremely long work hours that many entrepreneurs have to devote to their businesses. These are all tangible and deeply felt personal costs arising from the ill-judged pursuit of entrepreneurship by some individuals. Furthermore, vulnerable groups with few assets, including blacks and women, stand to lose the most from business failure. Ironically, these are the groups with the highest failure rates, and yet which are nonetheless the most commonly targeted by entrepreneurship promotion policies. All of this should make us pause before supporting the self-interested (or well-meaning but ill-informed) practitioners who claim that the economy needs more entrepreneurship. The opposite might well be the case. It is interesting to speculate that economists might do more good by increasing awareness of the dangers of over-optimistic entry into entrepreneurship than by training gullible starry-eyed MBA students to write business plans that help to lure them to their ruin. Of course, this depends on the balance of costs and benefits of entrepreneurship. This is something that the Economics of Entrepreneurship is in principle well positioned to assess, but which in practice is an extremely ambitious research agenda containing major gaps in our knowledge. On this note, I now conclude the text by focusing in greater detail on what we don’t know and what we might do to rectify this. what the externalities are, how they are generated, who generates them, what is their value, and how they can be nurtured, are all needed to enable a cost-benefit analysis of entrepreneurship to be performed. It goes without saying that opening up the black box of entrepreneurship spillovers is likely to pose a major challenge and constitutes a highly ambitious research agenda. • The effects of regulation on entrepreneurs. Despite the famous study of Brock and Evans , there has been only a handful of other articles dealing with this important issue (see , ). As governments around the world seek to relax regulations in order to promote entrepreneurship, the precise impact of regulation on entrepreneurs remains unclear and largely anecdotal. A combination of fine-grained data and innovative theoretical modelling is probably needed to make progress in this important area. In particular, it would be valuable to have quantitative impact studies and cost-benefit analyses of particular regulations. Above all, we need a constructive guide to better regulation, on the grounds that regulation is unlikely to go away, supported by firm empirical evidence wherever possible. • Policy evaluation. To date, cost–benefit analysis (CBA) has not been widely used to evaluate government entrepreneurship policies. CBA is a tool with which economists have particular expertise and which, with a few exceptions (the British and American loan guarantee schemes, for example: see 4.64.6 above), has not been fully exploited. In view of the arguments against as well as in favour of government intervention to promote entrepreneurship (see 4.10 above), better and more widespread programme evaluations are needed. These might build on the discussion in  and , or apply the sort of micro-econometric evaluation methods that are now well established in labour economics (see, e.g., ). A recent example by Almus , which uses a non-parametric matching approach, is a rare exception that hopefully others will soon begin to emulate. Multiple equilibria based on self-reinforcing human capital investment decisions . But research on this topic is still in its infancy, despite ongoing interest among researchers and policy-makers. the basis for social relationships within teams. While the study of trust is beginning to make itself felt in economics, the Economics of Entrepreneurship is yet to incorporate it in any serious way. Other examples abound. The key point here is that the Economics of Entrepreneurship has nothing to lose and much to gain from occasionally looking over the fence to learn from other disciplines. Z. J. Acs and C. Armington, “The impact of geographic differences in human capital on service firm formation rates,” Journal of Urban Economics, vol. 56, pp. 244–78, 2004. Z. J. Acs and D. B. Audretsch, “Innovation in large and small firms: An empirical analysis,” American Economic Review, vol. 78, pp. 678–90, 1988. Z. J. Acs and D. B. Audretsch, Innovation and Small Firms, MIT Press, Cambridge, MA, 1990. Z. J. Acs and D. B. Audretsch, Small Firms and Entrepreneurship: An EastWest Perspective, Cambridge University Press, Cambridge, 1993. Z. J. Acs and D. B. Audretsch, “Innovation and technological change,” In: Handbook of Entrepreneurship Research: An Interdisciplinary Survey and Introduction, Acs, Z. J. and Audretsch, D. B., Kluwer, Boston, pp. 55–79, 2003. Z. J. Acs, D. B. Audretsch, P. Braunerhjelm, and B. Carlsson, “The missing link: The knowledge filter and entrepreneurship in endogenous growth,” CEPR Discussion Paper No. 4783}, 2004, www.cepr.org/pubs/dps/DP4783.asp. P. Aghion and P. Howitt, “A model of growth through creative destruction,” Econometrica, vol. 60, pp. 323–51, 1992. P. Aghion and P. Howitt, “A Schumpeterian perspective on growth and competition,” In: Advances in Economics and Econometrics: Theory & Applications, Kreps, D. M. and Wallis, K. F., Cambridge University Press, Cambridge, vol. 2, pp. 279–319, 1997. O. Ajayi-obe and S. C. Parker, “The changing nature of work among the selfemployed in the 1990s: Evidence from Britain,” Journal of Labor Research, forthcoming, 2005. M. Almus, “Job creation through public start-up assistance?,” Applied Economics, vol. 36, pp. 2015–24, 2004. G. Arabsheibani, D. de Meza, J. Maloney, and B. Pearson, “And a vision appeared unto them of a great profit: Evidence of self-deception among the selfemployed,” Economics Letters, vol. 67, pp. 35–41, 2000. R. L. Aronson, Self-employment: A Labour Market Perspective, ILR Press, Ithaca, NY, 1991. T. Åstebro, “The return to independent invention: evidence of risk-seeking, extreme optimism or skewness loving?,” Economic Journal, vol. 113, pp. 226–39, 2003. D. B. Audretsch and M. P. Feldman, “R&D spillovers and the geography of innovation and production,” American Economic Review, vol. 86, pp. 630–40, 1996. 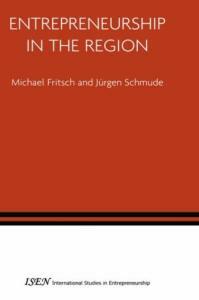 D. B. Audretsch and M. Fritsch, “Growth regimes over time and space,” Regional Studies, vol. 36, pp. 113–24, 2002. D. B. Audretsch and E. Lehmann, “Location and new venture creation,” In: Handbook of Entrepreneurship Research, Parker, S. C., vol. III, Kluwer, forthcoming, 2006. D. B. Audretsch and T. Mahmood, “New firm survival: New results using a hazard function,” Review of Economics & Statistics, vol. 77, pp. 97–103, 1995. D. B. Audretsch and R. Thurik, “Linking entrepreneurship to growth,” OECD STI Working Paper 2081/2, 2001. A. V. Banerjee and A. F. Newman, “Occupational choice and the process of development,” Journal of Political Economy, vol. 101, pp. 274–98, 1993. A. Basu and S. C. Parker, “Family finance and new business start-ups,” Oxford Bulletin of Economics & Statistics, vol. 63, pp. 333–58, 2001. T. Bates, “Entrepreneur human capital inputs and small business longevity,” Review of Economics & Statistics, vol. 72, pp. 551–59, 1990. T. Bates, Race, Self-employment and Upward Mobility: An Illusive American Dream, John Hopkins University Press, Baltimore, 1997. W. J. Baumol, “Entrepreneurship: productive, unproductive and destructive,” Journal of Political Economy, vol. 98, pp. 893–921, 1990. W. J. Baumol, “Formal entrepreneurship theory in economics: Existence and bounds,” Journal of Business Venturing, vol. 8, pp. 197–210, 1993. A. N. Berger and G. F. Udell, “Some evidence on the empirical significance of credit rationing,” Journal of Political Economy, vol. 100, pp. 1047–77, 1992. D. Bernhardt, “Credit rationing?,” American Economic Review, vol. 90, pp. 235–39, 2000. 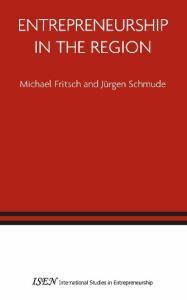 M. Bianchi and M. Henrekson, “Is neoclassical economics still entrepreneurless?,” SSE/EFI Working Paper No. 584, Stockholm School of Economics, 2005. D. L. Birch, “MIT Programme on Neighbourhood and Regional Change,” The Job Generation Process, , Cambridge, MA, 1979. S. E. Black and P. E. Strahan, “Business formation and the deregulation of the banking industry,” In: Public Policy and the Economics of Entrepreneurship, Holtz-Eakin, D. and Rosen, H. S., MIT Press, Cambridge, MA, 2004. D. G. Blanchflower and A. Oswald, “What makes an entrepreneur?,” Journal of Labor Economics, vol. 16, pp. 26–60, 1998. D. G. Blanchflower, P. B. Levine, and D. J. Zimmerman, “Discrimination in the small-business credit market,” Review of Economics & Statistics, vol. 85, pp. 930–43, 2003. G. J. Borjas, “The self-employment experience of immigrants,” Journal of Human Resources, vol. 21, pp. 485–506, 1986. G. J. Borjas and S. G. Bronars, “Consumer discrimination and self-employment,” Journal of Political Economy, vol. 97, pp. 581–605, 1989. V. K. Borooah and M. Hart, “Factors affecting self-employment among Indian and black Caribbean men in Britain,” Small Business Economics, vol. 13, pp. 111–29, 1999. N. Bosma, M. Van Praag, R. Thurik, and G. de Wit, “The value of human and social capital investments for the business performance of startups,” Small Business Economics, vol. 23, pp. 227–36, 2004. B. P. Bosworth, A. S. Carron, and E. Rhyne, The Economics of Government Credit, Brookings Institution, Washington DC, 1987. W. A. Brock and D. S. Evans, The Economics of Small Businesses: Their Role and Regulation in the US Economy, Holmes and Meier, New York, 1986. D. Bruce, “Do husbands matter? Married women entering self-employment,” Small Business Economics, vol. 13, pp. 317–29, 1999. D. Bruce and M. Mohsin, “Tax policy and entrepreneurship: new time series evidence,” Mimeo, University of Tennessee, 2003. R. K. Caputo and A. Dolinsky, “Women’s choice to pursue self-employment: The role of financial and human capital of household members,” Journal of Small Business Management, vol. 36, pp. 8–17, 1998. R. Carrasco, “Transitions to and from self-employment in Spain: An empirical analysis,” Oxford Bulletin of Economics & Statistics, vol. 61, pp. 315–41, 1999. R. Carroll, D. Holtz-Eakin, M. Rider, and H. S. Rosen, “Income taxes and entrepreneurs’ use of labour,” Journal of Labor Economics, vol. 18, pp. 324–51, 2000. R. Carroll, D. Holtz-Eakin, M. Rider, and H. S. Rosen, “Entrepreneurs, income taxes and investment,” In: Does Atlas Shrug? The Economic Consequences of Taxing the Rich, Slemrod, J. B., Russell Sage, New York, pp. 427–55, 2000. R. Carroll, D. Holtz-Eakin, M. Rider, and H. S. Rosen, “Personal income taxes and the growth of small firms,” In: Tax Policy and the Economy, Slemrod, J., vol. 15, MIT Press, Cambridge, MA, pp. 121–47, 2001. M. Casson, The Entrepreneur: An Economic Theory, 2nd Edition, Edward Elgar, Cheltenham, 2003. K. Clark and S. Drinkwater, “Ethnicity and self-employment in Britain,” Oxford Bulletin of Economics & Statistics, vol. 60, pp. 383–407, 1998. M. P. Coelho, “Unrealistic optimism, entrepreneurship and adverse selection,” Unpublished PhD Dissertation, London School of Economics, 2004. M. P. Coelho, D. de Meza, and D. Reyniers, “Irrational exuberance, entrepreneurial finance and public policy,” International Tax and Public Finance, vol. 11, pp. 391–417, 2004. A. C. Cooper, F. J. Gimeno-Gascon, and C. Y. Woo, “Initial human and financial capital as predictors of new venture performance,” Journal of Business Venturing, vol. 9, pp. 371–95, 1994. A. D. Cosh, A. Hughes, and E. Wood, “Innovation in UK SMEs: causes and consequences for firm failure and acquisition,” In: Entrepreneurship, Small and Medium Sized Enterprises and the Macro Economy, Acs, Z. and Carlsson, B., Cambridge University Press, Cambridge, 1999. M. Cowling and P. Mithcell, “The evolution of UK self-employment: A study of government policy and the role of the macroeconomy,” Manchester School, vol. 65, pp. 427–42, 1997. R. C. Cressy, “Are business start-ups debt-rationed?,” Economic Journal, vol. 106, pp. 1253–70, 1996. R. C. Cressy, “Credit rationing or entrepreneurial risk aversion? An alternative explanation for the Evans and Jovanovic finding,” Economics Letters, vol. 66, pp. 235–40, 2000. P. Davidsson, L. Lindmark, and C. Olofsson, “The extent of over-estimation of small firm job creation – An empirical examination of the regression bias,” Small Business Economics, vol. 11, pp. 87–100, 1998. S. J. Davis, J. C. Haltiwanger, and S. Schuh, Job Creation and Destruction, MIT Press, Cambridge, MA, 1996. D. de Meza, “Overlending?,” Economic Journal, vol. 112, pp. F17–F31, 2002. D. de Meza and D. C. Webb, “Too much investment: A problem of asymmetric information,” Quarterly Journal of Economics, vol. 102, pp. 281–92, 1987. D. de Meza and D. C. Webb, “Wealth, enterprise and credit policy,” Economic Journal, vol. 109, pp. 153–63, 1999. T. J. Devine, “Characteristics of self-employed women in the United States,” Monthly Labor Review, vol. 117, pp. 20–34, 1994. 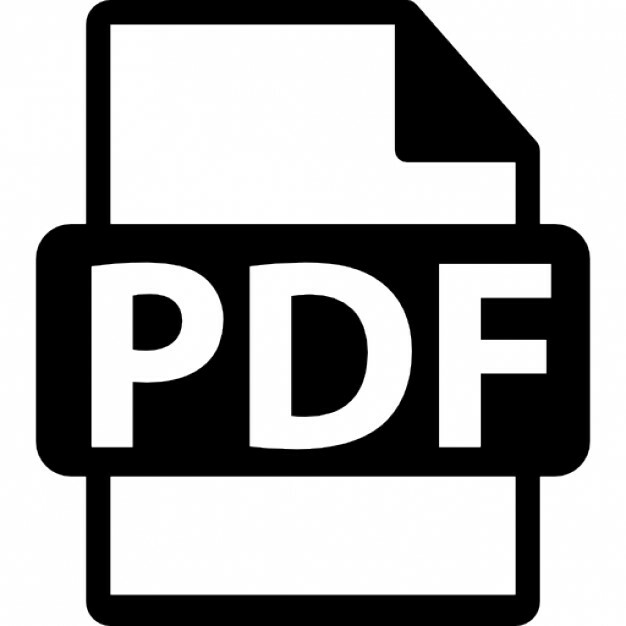 P. J. Dolton and G. H. Makepeace, “Self-employment among graduates,” Bulletin of Economic Research, vol. 42, pp. 35–53, 1990. J. S. Earle and Z. Sakova, “Business start-ups or disguised unemployment? Evidence on the character of self-employment from transition economies,” Labor Economics, vol. 7, pp. 575–601, 2000. L. N. Edwards and E. Field-Hendrey, “Home-based work and women’s labour force decisions,” Journal of Labor Economics, vol. 20, pp. 170–200, 2002. D. S. Evans and B. Jovanovic, “An estimated model of entrepreneurial choice under liquidity constraints,” Journal of Political Economy, vol. 97, pp. 808–27, 1989. D. S. Evans and L. S. Leighton, “Some empirical aspects of entrepreneurship,” American Economic Review, vol. 79, pp. 519–35, 1989. R. W. Fairlie, “The absence of the African-American owned business: An analysis of the dynamics of self-employment,” Journal of Labor Economics, vol. 17, pp. 80–108, 1999. R. W. Fairlie and B. D. Meyer, “Trends in self-employment among white and black men during the twentieth century,” Journal of Human Resources, vol. 35, pp. 643–69, 2000. P. Francois, “Not-for-profit provision of public services,” Economic Journal, vol. 113, pp. C53–C61, 2003. M. Friedman, Essays in Positive Economics, University of Chicago Press, Chicago, 1953. P. A. Geroski and R. Pomroy, “Innovation and the evolution of market structure,” Journal of Economics, vol. 38, pp. 299–314, 1990. E. L. Glaeser and A. Shleifer, “Not-for-profit entrepreneurs,” Journal of Public Economics, vol. 81, pp. 99–115, 2001. W. H. Greene, Econometric Analysis, Fifth Edition, Prentice-Hall, New Jersey, 2003. G. M. Grossman, “International trade, foreign investment, and the formation of the entrepreneurial class,” American Economic Review, vol. 74, pp. 605–14, 1984. B. H. Hall, “The relationship between firm size and firm growth in the US manufacturing sector,” Journal of Industrial Economics, vol. 35, pp. 583–606, 1987. B. H. Hall, A. N. Link, and J. T. Scott, “Universities as research partners,” Review of Economics & Statistics, vol. 85, pp. 485–91, 2003. D. S. Hamermesh, Labor Demand, Princeton University Press, Princeton, 1993. B. H. Hamilton, “Does entrepreneurship pay? An empirical analysis of the returns to self-employment,” Journal of Political Economy, vol. 108, pp. 604–31, 2000. P. E. Hart and N. Oulton, “Growth and size of firms,” Economic Journal, vol. 106, pp. 1242–52, 1996. J. J. Heckman, “Sample selection bias as a specification error,” Econometrica, vol. 47, pp. 475–92, 1979. J. J. Heckman, R. J. LaLonde, and J. A. Smith, “The economics and econometrics of active labour market programs,” In: Handbook of Labor Economics, Ashenfelter, O. and Card, D., Elsevier, Amsterdam, pp. 1865–2097, 1999. A. Henley, “Self-employment status: the role of state dependence and initial circumstances,” Small Business Economics, vol. 22, pp. 67–82, 2004. T. J. Holmes and J. A. Schmitz, “A theory of entrepreneurship and its application to the study of business transfers,” Journal of Political Economy, vol. 98, pp. 265–94, 1990. D. Holtz-Eakin, D. Joulfaian, and H. S. Rosen, “Sticking it out: entrepreneurial survival and liquidity constraints,” Journal of Political Economy, vol. 102, pp. 53–75, 1994. M. Hout and H. S. Rosen, “Self-employment, family background, and race,” Journal of Human Resources, vol. 35, pp. 670–92, 2000. G. Hundley, “Why women earn less than men in self-employment,” Journal of Labor Research, vol. 22, pp. 817–29, 2001. E. Hurst and A. Lusardi, “Liquidity constraints, household wealth, and entrepreneurship,” Journal of Political Economy, vol. 112, pp. 319–47, 2004. M. F. Iyigun and A. L. Owen, “Entrepreneurs, professionals and growth,” Journal of Economic Growth, vol. 4, pp. 213–32, 1999. A. B. Jaffe, “Real effects of academic research,” American Economic Review, vol. 79, pp. 957–70, 1989. A. B. Jaffe, M. Trajtenberg, and R. Henderson, “Geographic localisation of knowledge spillovers as evidenced by patent citations,” Quarterly Journal of Economics, vol. 63, pp. 577–98, 1993. B. Jovanovic, “Selection and the evolution of industry,” Econometrica, vol. 50, pp. 649–70, 1982. C. Keuschnigg and S. B. Nielsen, “Public policy, start-up entrepreneurship, and the market for venture,” In: Handbook of Entrepreneurship Research, Parker, S. C., vol. III, Kluwer, forthcoming, 2006. R. E. Kilhstrom and J. J. Laffont, “A general equilibrium entrepreneurial theory of firm formation based on risk aversion,” Journal of Political Economy, vol. 87, pp. 719–49, 1979. S. Klepper, “Entry, exit, growth and innovation over the product life cycle,” American Economic Review, vol. 86, pp. 562–83, 1996. F. H. Knight, Risk, Uncertainty and Profit, Houghton-Mifflin, New York, 1921. KPMG, An Evaluation of the Small Firms Loan Guarantee Scheme, HMSO, DTI, London, 1999. P. Krugman, Geography and Trade, MIT Press, Cambridge, MA, 1991. E. P. Lazear, “Economic imperialism,” Quarterly Journal of Economics, vol. 115, pp. 99–146, 2000. E. P. Lazear, “Entrepreneurship,” NBER Working Paper No. 9109, Cambridge, MA, 2002. E. P. Lazear, “Balanced skills and entrepreneurship,” American Economic Review, Papers & Proceedings, vol. 94, pp. 208–11, 2004. A. R. Levenson and K. L. Willard, “Do firms get the financing they want? Measuring credit rationing experienced by small businesses in the US,” Small Business Economics, vol. 14, pp. 83–94, 2000. T. Lindh and H. Ohlsson, “Self-employment and windfall gains: Evidence from the Swedish lottery,” Economic Journal, vol. 106, pp. 1515–26, 1996. R. E. Lucas, “On the size distribution of business firms,” Bell Journal of Economics, vol. 9, pp. 508–23, 1978. D. A. Macpherson, “Self-employment and married women,” Economic Letters, vol. 28, pp. 281–84, 1988. T. Mahmood, “Survival of newly founded businesses: A log-logistic model approach,” Small Business Economics, vol. 14, pp. 223–37, 2000. J. Mata and P. Portural, “Life duration of new firms,” Journal of Industrial Economics, vol. 42, pp. 227–45, 1994. C. Michelacchi, “Low returns in R&D due to the lack of entrepreneurial skills,” Economic Journal, vol. 113, pp. 207–25, 2003. T. J. Moskowitz and A. Vissing-Jorgensen, “The returns to entrepreneurial investment: A private equity premium puzzle?,” American Economic Review, vol. 92, pp. 745–48, 2002. K. M. Murphy, A. Shleifler, and R. W. Vishny, “The allocation of talent: Implications for growth,” Quarterly Journal of Economics, vol. 106, pp. 503–30, 1991. R. Oaxaca, “Male-female wage differentials in urban labour markets,” International Economic Review, vol. 14, pp. 693–708, 1973. 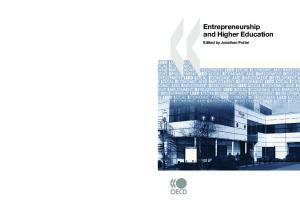 OECD, Fostering Entrepreneurship, OECD, Paris, 1998. S. C. Parker, “A time series model of self-employment under uncertainty,” Economica, vol. 63, pp. 459–75, 1996. S. C. Parker, “The effects of risk on self-employment,” Small Business Economics, vol. 9, pp. 515–22, 1997. S. C. Parker, “Do banks ration credit to new enterprises? And should governments intervene?,” Scottish Journal of Political Economy, vol. 49, pp. 162–95, 2002. S. C. Parker, “Does tax evasion affect occupational choice?,” Oxford Bulletin of Economics & Statistics, vol. 65, pp. 379–94, 2003. S. C. Parker, “Asymmetric information, occupational choice and government policy,” Economic Journal, vol. 113, pp. 861–82, 2003. S. C. Parker, The Economics of Self-employment and Entrepreneurship, Cambridge University Press, Cambridge, 2004. S. C. Parker, “Learning about the unknown: How fast do entrepreneurs learn about their beliefs?,” Journal of Business Venturing, forthcoming, 2005. S. C. Parker, “Explaining regional variations in entrepreneurship as multiple equilibria,” Journal of Regional Science, forthcoming, 2005. S. C. Parker and Y. Belghitar, “What happens to nascent entrepreneurs? An econometric analysis of the PSED,” Paper presented to the Babson-Kaufman conference, Babson College; and USASBE, Palm Springs, 2005. S. C. Parker and M. T. Robson, “Explaining international variations in selfemployment: Evidence from a panel of OECD countries,” Southern Economic Journal, vol. 71, pp. 287–301, 2004. S. C. Parker and C. M. Van Praag, “Schooling, capital constraints and entrepreneurial performance: the endogenous triangle,” Discussion Paper No. 04106/3, Tinbergen Institute, University of Amsterdam, http://www.tinbergen.nl/scripts/papers.pl?paper=04106.rdf.2004,  S. C. Parker, Y. Belghitar, and T. Barmby, “Wage uncertainty and selfemployed labour supply,” Economic Journal, vol. 115, pp. C190–207, 2005. P. F. Peretto, “Technological change, market rivalry, and the evolution of the capitalist engine of growth,” Journal of Economic Growth, vol. 3, pp. 53–80, 1998. F. Pfeiffer and F. Reize, “Business start-ups by the unemployed – An econometric analysis based on firm data,” Labor Economics, vol. 7, pp. 629–63, 2000. B. D. Phillips and B. A. Kirchhoff, “Formation, growth and survival: Small firm dynamics in the US economy,” Small Business Economics, vol. 1, pp. 65–74, 1989. V. Polvoknichenko, “Human capital and the private equity premium,” Review of Economic Dynamics, vol. 6, pp. 831–45, 1989. H. Rees and A. Shah, “An empirical analysis of self-employment in the UK,” Journal of Applied Econometrics, vol. 1, pp. 95–108, 1986. G. C. Reid, “Staying in business,” International Journal of Industrial Organisation, vol. 9, pp. 545–56, 1991. G. C. Reid, Small Business Enterprise: An Economic Analysis, Routledge, London, 1993. P. D. Reynolds, Global Entrepreneurship Monitor Executive Report, 2002, www.gemconsortium.com. P. Reynolds, B. Miller, and W. R. Maki, “Explaining regional variations in business births and deaths: US 1976–1988,” Small Business Economics, vol. 7, pp. 389–407, 1995. M. T. Robson, “The rise in self-employment amongst UK males,” Small Business Economics, vol. 10, pp. 199–212, 1998. M. T. Robson, “Does stricter employment protection legislation promote selfemployment?,” Small Business Economics, vol. 21, pp. 309–319, 2003. P. Romer, “Increasing returns and economic growth,” American Economic Review, vol. 94, pp. 1002–37, 1986. P. Romer, “Endogenous technical change,” Journal of Political Economy, vol. 98, pp. 71–102, 1990. A. Saxenian, Regional Advantage: Culture and Competition in Silicon Valley and Route 128, Harvard University Press, Cambridge, MA, 1994. F. M. Scherer, “Changing perspectives on the firm size problem,” In: Innovation and Technological Change, Acs, Z. J. and Audretsch, D. B., University of Michigan Press, Ann Arbor, 1991. J. A. Schumpeter, The Theory of Economic Development, Harvard University Press, Cambridge, MA, 1934. P. Segerstrom, “Innovation, imitation and economic growth,” Journal of Political Economy, vol. 99, pp. 190–207, 1991. P. Segerstrom, T. C. Anant, and E. Dinopoulos, “A Schumpeterian model of the product life cycle,” American Economic Review, vol. 80, pp. 1077–1091, 1990. J.-C. Spender, “Making knowledge the basis of a dynamic theory of the firm,” Strategic Management Journal, vol. 17, pp. 45–62, 1996. J. Stiglitz and A. Weiss, “Credit rationing in markets with imperfect information,” American Economic Review, vol. 71, pp. 393–410, 1981. C. E. Steuerle and V. Hodgkinson, “Meeting social needs: Comparing the resources of the independent sector and government,” In: Nonprofits and Government, Boris, E. and Steuerle, C. E., Urban Institute Press, Washington DC, 1999. D. J. Storey, “Entrepreneurship, small and medium sized enterprises and public policies,” In: Handbook of Entrepreneurship Research: An Interdisciplinary Survey and Introduction, Acs, Z. J. and Audretsch, D. B., Kluwer, Boston, pp. 473–511, 2003. M. P. Taylor, “Earnings, independence or unemployment: Why become selfemployed?,” Oxford Bulletin of Economics & Statistics, vol. 58, pp. 253–66, 1996. M. P. Taylor, “Survival of the fittest? An analysis of self-employment duration in Britain,” Economic Journal, vol. 109, pp. C140–C155, 1999. P. H. Thornton and K. H. Flynn, “Entrepreneurship, networks and geographies,” In: International Handbook of Entrepreneurship Research, Acs, Z. J. and Audretsch, D. B., Kluwer Academic, Dordrecht, 2003. R. Thurik, “Entrepreneurship, industrial transformation and growth,” In: The Sources of Entrepreneurial Activity, Libecap, G. D., JAI Press, Stamford, CT, 1999. J. Van der Sluis, C. M. Van Praag, and A. Witteloostuijn, The returns to education: A comparative study between entrepreneurs and employees, Paper presented to the BKERC Conference, University of Strathclyde, 2004. M. Van Gelderen, N. Bosma, and R. Thurik, “Setting up a business in the Netherlands: Who starts, who gives up, who is still trying,” Unpublished report, 2001, http://ssrn.com/abstract=370874. 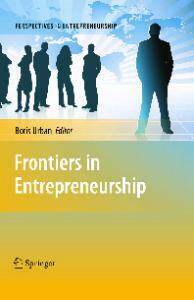 C. M. Van Praag and H.van Ophem, “Determinants of willingness and opportunity to start as an entrepreneur,” Kyklos, vol. 48, pp. 513–40, 1995. J. Wagner, “Testing Lazear’s jack-of-all-trades view of entrepreneurship with German micro data,” Applied Economics Letters, vol. 10, pp. 687–89, 2003. J. Wagner, “Are young and small firms hothouses for nascent entrepreneurs? Evidence from German micro data,” Working Paper No. 301, University of Lüneburg, 2004. C. Wren and D. J. Storey, “Evaluating the effect of “soft” business support upon small firms performance,” Oxford Economic Papers, vol. 54, pp. 334–65, 2002. A. M. Yuengert, “Testing hypotheses of immigrant self-employment,” Journal of Human Resources, vol. 30, pp. 194–204, 1995. 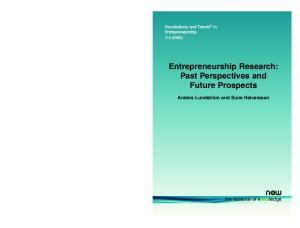 Report "The Economics of Entrepreneurship (Foundations and Trends in Entrepreneurship)"